Lee Johnson’s doctors didn’t think he’d live long enough to testify in court that exposure to Monsanto Co.’s Roundup weed killer caused his deadly cancer. 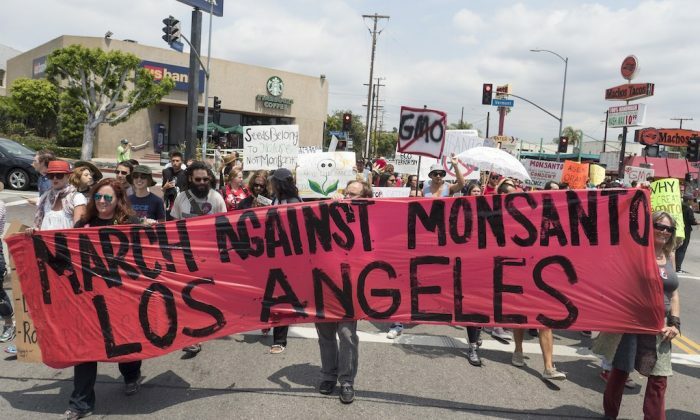 But the 46-year-old is now first in line to go to trial against the agrochemical giant among thousands of people across the U.S. who blame its herbicide for their disease. Glyphosate, the main ingredient in Roundup, was first approved for use in Monsanto’s weed killer in 1974. As it grew to become the world’s most popular and widely used herbicide, the question of whether it causes cancer has been hotly debated by environmentalists, regulators, researchers, and lawyers—even as Monsanto has insisted for decades that it’s perfectly safe. Now, a jury will decide in a case set to start this week in San Francisco state court. The outcome won’t be binding on any of the thousands of plaintiffs in St. Louis making similar claims, or for the approximately 300 cases before a federal judge in San Francisco, or even the dozens of lawsuits consolidated in nearby Oakland. But Johnson’s lawyers, who are involved in lawsuits in all those jurisdictions, see his trial as an indicator of how others will go. Superior Court Judge Suzanne Ramos Bolanos was assigned to oversee the trial, according to a statement from Johnson’s lawyers June 18. Jury selection and pretrial hearings will take five to seven days, they said, with opening statements possible as soon as June 25. Bayer AG’s $63 billion acquisition of Monsanto closed this month. Oxgaard said Bayer will probably assume Monsanto’s risk from the prolific litigation over glyphosate. As of August, Monsanto had a reserve fund for environmental and litigation liability of $277 million, according to a regulatory filing. Monsanto says glyphosate is the most tested herbicide in history. “Every major regulatory agency charged with answering the question has, with the benefit of all the available primary data, concluded that glyphosate is not likely to pose risks of carcinogenicity,” Monsanto argued in a court filing. Cancers like Johnson’s, a type of non-Hodgkin’s lymphoma, “take many years to form,” Monsanto said in the filing, previewing a possible argument at trial. The short period between Johnson’s first exposure in 2012 and his diagnosis in 2014 “precludes any possible causal connection here,” according to the company. A pretrial ruling allows Johnson’s lawyers to try to use internal Monsanto correspondence to show that the company has long been aware of the risk its herbicides are carcinogenic.